Do You Know How To Identify Child Abuse And Report It To Police? Child abuse is one of the major problems in India. The most peculiar thing regarding cases of child abuse is that where some of them form blazing headline, most of them are wrapped in silence. Before we narrowly categorise the offense to be merely against girls, it has to be noted that 52% of the victims of child abuse are boys. If anyone of us think that there has been no child abuse in our family, we might be probably wrong because as per India’s seminal report on child abuse, published by the Ministry of Women and Child Development, Prayas, UNICEF and Save the Children in 2007, “every second child across the country is subjected to one or other forms of sexual abuse and every fifth child is facing severe forms of sexual abuse”. This article helps to recognise the forms of child abuse and what can be done to prevent the same. Child abuse is any physical, sexual or mental maltreatment or neglect of a person who is below 18 years of age. A majority of children growing up in India have experienced child abuse in one or the other form, ranging from being beaten up for perceived transgression to being sexually assaulted by a relative and from being isolated and dehumanized to constantly being threatened to complain. The recent case of Gurgaon, where Pradyuman Thakur a seven-year-old student of the Ryan International school was found dead with his throat slit in the school’s washroom has enraged and stunned the entire nation. Pradyuman was murdered by a 16-year-old boy of the same school. In another case of Arunachal Pradesh, 88 Students of a girls’ school were forced to undress by three teachers. They were made to do this as a punishment for writing vulgar words against the head teacher. In another shocking incident, a complaint was registered against the mother and stepfather of a 4-year-old girl who was made to sit on a hot pan. Through these incidents, it is clearly visible that child abuse can take place in any form and can be committed by anyone including the teachers, friends, or relatives and even the parents. However, what is more disturbing is the fact that it takes untoward incidents to realise the enormity of child abuse. While a lot has already been discussed on the issue and the causes of child abuse, the focus should now be shifted to the collective and consistent responsibility to ensure the safety of children. Any person who knows that an incident of child abuse has occurred can file a complaint under Section 19 of the Protection of Children Against Sexual Offences Act (POCSO), 2012.The complaint can be made to the Special Juvenile Police unit or the local police of the area where the offence has been committed. It is not essential that the complainant has to be a relative or a friend of the victim, anyone can file a complaint. An FIR can also be made to the local police of your area. However, if he refuses to register an FIR, then you can even approach the Superintendent of the Police.If the victim is present at the time of lodging a complaint, then the FIR can be filed immediately. However, if the complaint is made by a third party, then the police will firstly visit the place of occurrence and speak with the victim to ascertain the facts of the case and then record the FIR. If the complaint is lodged out of the jurisdiction, then the FIR can be filed and then transferred to the relevant police station. Further, a complaint can also be made by a call to ‘Childline’ a 24 hours free telephone helpline service at the number 1098. That the police produces the child before the Child Welfare committee if he/she is found to be in need of care and protection or has no parents. Ensure that the medical examination of the child has been conducted, if not, they must get it done and use forensic tests as evidence. The police officer must send the child to the hospital if he/she requires urgent medical attention. CAN THE VICTIM OF CHILD ABUSE ALSO FILE A COMPLAINT ? 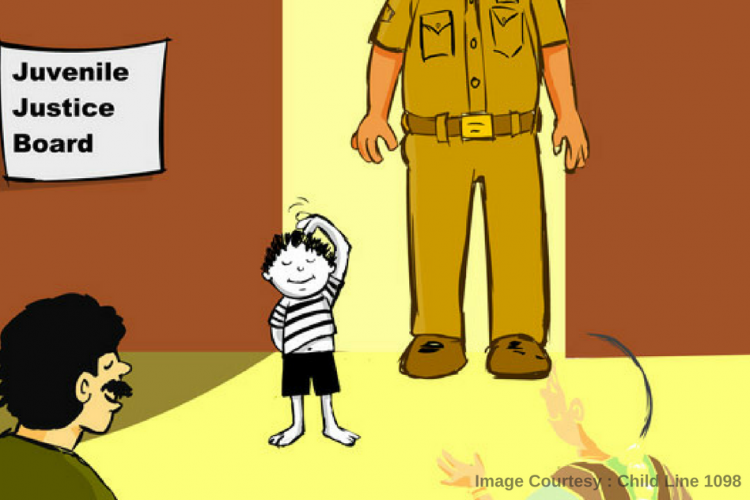 The victim of child abuse can also register an FIR to the local police of his/her area, against the abuse committed. 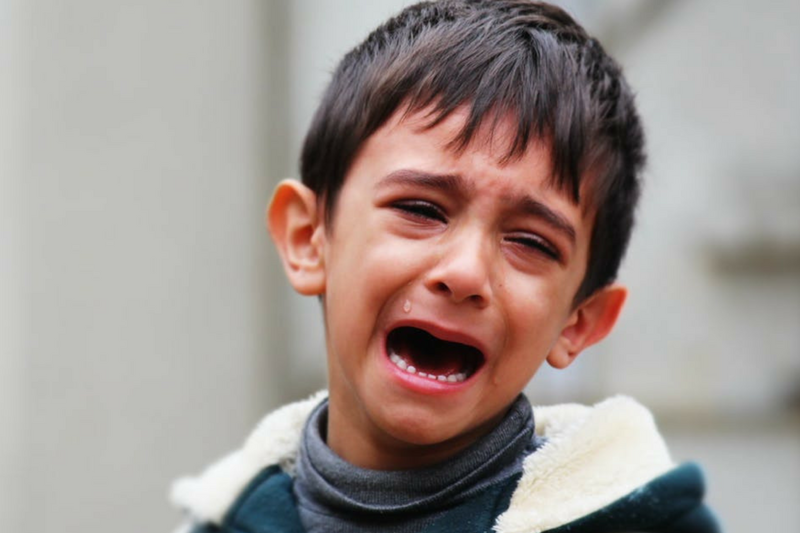 However, often a child may not be able to express his sufferings to the police officer. Thus, to facilitate the complaint procedure and to ensure that no child abuse case goes unregistered, Union Minister for Women and Child Development Maneka Gandhi has launched an online platform ‘POCSO e-box’(Protection of Children from Sexual Offences). 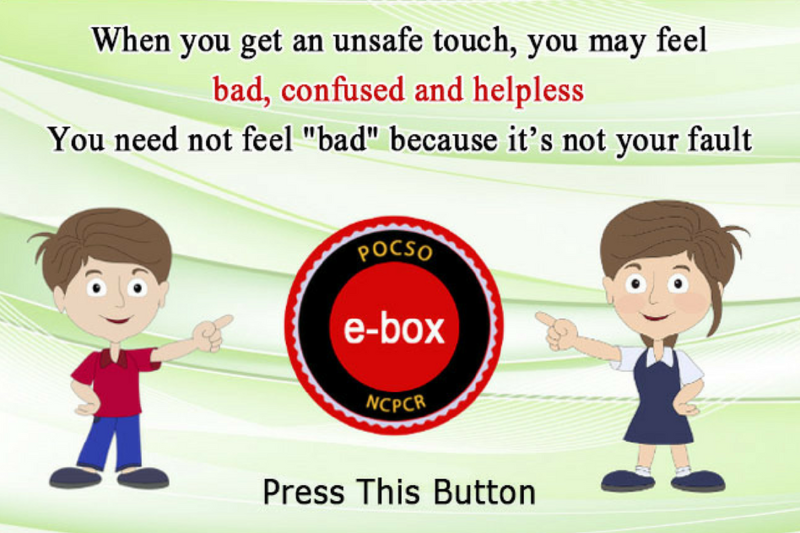 The POCSO e-box helps children who are a victim of cyber crimes and sexual harassment to file a complaint against the same. 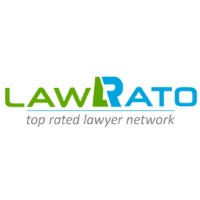 Besides the victims, the parent, guardian or a close relative of the child can also file a complaint here. To file a complaint, you will have to either head to this page- http://www.ncpcr.gov.in/ or email at [email protected] or mobile no: 9868235077. The Union Home Ministry (headed by Rajnath Singh) have initiated Operation Smile that organises regular rescues and rehabilitation of children pushed into prostitution and bonded labour, to ill-treatment by parents. To make people aware of child abuse, the Delhi government came up with Stay Safe-Prevention-Educating Children Module for children of three age groups of- 5-8 years, 9-12 years and 12-18 years. The module includes a training programme for the parents and guardian of children to make them aware of the existing legal provisions and standard operating procedures that can be undertaken by them in such cases. As a parent, it is your duty to teach your child the difference between safe and unsafe touch. Break the communication barrier so that your child can freely speak to you about any such instances without the fear of being scolded and without feeling uncomfortable. Be aware of your child’s company. Parents must be involved with the child’s school. Parent-teacher associations can play a crucial role in helping the school maintain and monitor the standards of safety. Schools must ensure ‘child safety’ as an essential practice and not just an imposed policy. Every school must have a child protection committee, where students can file complaints of sexual abuse or bullying against them without any fear. Regular awareness programs must be organised by the schools to make children aware about what is child abuse and what can they do if they experience the same. The schools must essentially install CCTV cameras at proper locations to ensure the safety of students.